Whether youâ€™re trying to learn how to work the video on your DSLR, want to perfect your video after youâ€™ve shot it, or need secrets from industry pros on marketing your indie film, youâ€™ll find it all in the eight-course Videography Bootcamp. Itâ€™s 97% off the regular price of $1,728 for SitePoint readersâ€”get it for just $39. Pick up must-know skills, whatever your level. Youâ€™ll learn cool ways to kick your footage up a notch, like shooting and editing with a GoPro and capturing cool aerial shots with a drone. However you get your video, youâ€™ll also master color correction, audio and video effects, and more using Adobe Premiere Pro. And if youâ€™ve got the next indie masterpiece on your hands, youâ€™ll learn how to market it and how to master post-production essentials. Start making movie magic. 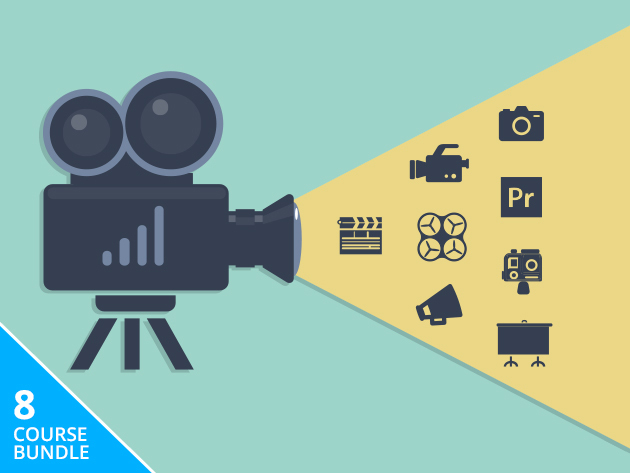 Get the Videography Bootcamp for $39!